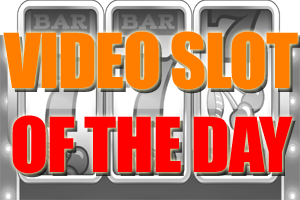 HOME > VIDEO SLOTS > The King Of Pop Slot is Now Online! The King Of Pop Slot is Now Online! Otherwise referred to as the king of pop music, Michael Jackson, will for many years, remain in the minds of music lovers. Despite his demise, his memories continue with the introduction of Michael Jackson Slot game. This is a creation of Bally Technologies that feature images of the King of Pop himself. Join LeoVegas [read review] for your chance to play it now! The King of Pop slot game features 5 reels and 25 play lines. This game allows slot lovers to enjoy pop music from the legendary singer Michael Jackson while having the chance to win money. In this way, it offers an opportunity to enjoy different games with varying features and hence reduce monotony and enhance entertainment. LeoVegas Exclusive - Players who play through £/$/€10 on Michael Jackson King of Pop they will automatically be awarded a ticket into a weekly draw! ALL players who have qualified for at least 1 ticket will receive 10 free spins on Bloodsuckers, Dracula, or Zombies slots! Play Michael Jackson: King of Pop NOW at LeoVegas! With both audio and video features, the game slots feature the top five hit songs of the pop legend. This offers an excellent opportunity to be entertained while at the same time enjoying great music of Michael Jackson. Earnings from the game seem to be unlimited! It features 2 big bonus games: Smooth Criminal Free Games and Beat It Free Games, and a multiplier wheel. The Moonwalk wilds and stack wilds can hit at any time, giving an opportunity to make higher returns from playing the game. In all the Michael Jackson slot includes five unique bonus features, a multiplier and wheel spin bonus all that increase winning chances. Michael Jackson slot game is easy to play. The game uses a penny slot, and this means you do not have to spend huge amounts while playing the game. Based on the popular game available in local casinos across Las Vegas, it offers an opportunity to make up to 40,000,000 times amount placed as the bet. Try it now in Demo mode!